The International Council of Chemical Associations (ICCA) provides global co-ordination for the Long-Range Research Initiative. Through the ICCA, the European Chemical Industry Council (Cefic), the American Chemistry Council (ACC), and the Japan Chemical Industry Association (JCIA) have co-ordinated research strategies and research projects in key areas. 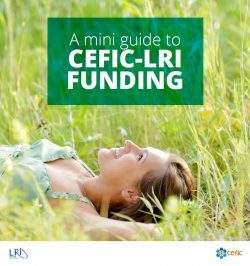 Download now the latest ICCA-LRI Brochure for an overview of the program. 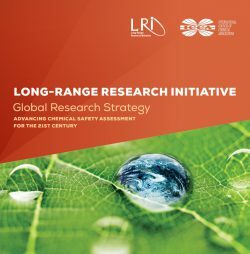 The innovative research program of the International Council of Chemical Associations’ Long-Range Research Initiative (ICCA-LRI) is designed to improve the quality of chemical safety assessments. This global program and its research strategy target the science-policy interface to modernize and approve chemical management. and translation relevant to health and environment. The research funding invested in these three areas is often leveraged through collaboration with publicly funded projects that can maximize project value up to five times. Through a rigorous governance structure involving chief executive officers (CEOs) and directors general from the three LRI regions, strategic alignment, complementarity, efficient use of financial resources, and effective dissemination of research results are achieved. The ICCA-LRI is recognized as a brand that demonstrates industry engagement with Responsible Care, provides early warning on emerging issues, achieves outreach to opinion leaders through its network, and supports capacity building within industry to ensure knowledge-based decision-making by companies and by public policy makers.